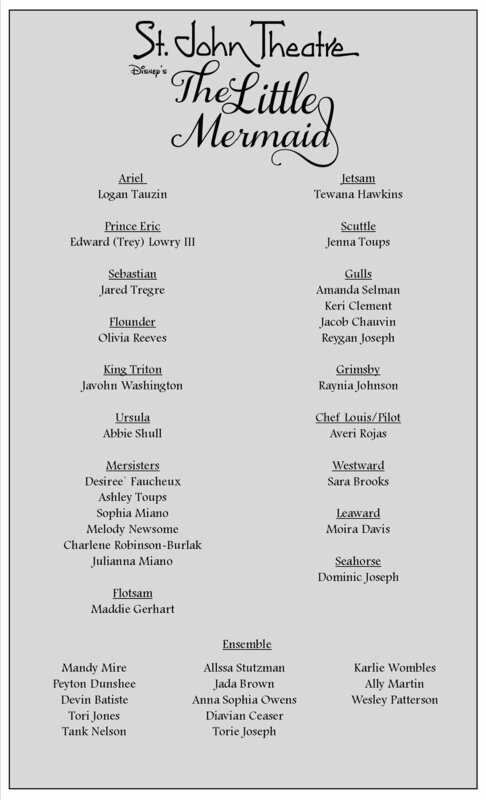 St. John Theatre is excited to announce our cast for this summer’s musical production of Disney’s The Little Mermaid. There is so much talent in St. John and the surrounding parishes and we truly appreciate all those who took the time to come and audition for us. Make sure you save the date for what we are sure will be one of the greatest shows to ever grace our stage. July 20, - 22 & 25 - 28.